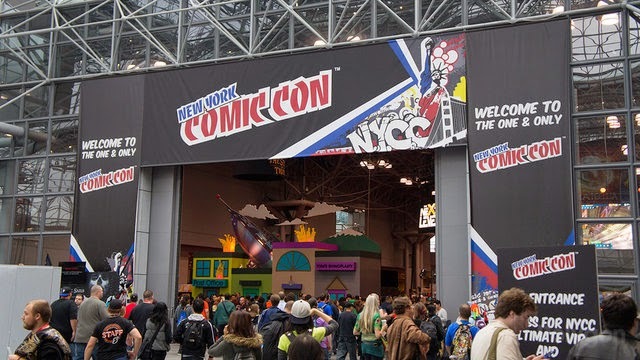 Next week I'll be in New York City for the NYC Comic-Con, where, courtesy of Wikia, I'll be on the only Game of Thrones panel at the event (Thursday 1.30-2.30, Empire Stage 1-E). I'll be joined by actors Kristian Nairn (Hodor) and Natalia Tena (Osha) to talk about the show, the upcoming fifth season and more. This is my first time in the Big Apple and I have a bit more free time than I did in Chicago earlier this year, so I'll actually be doing some sightseeing! I have been informed that I will be tasting New York pizza this time around, as well as doing some rather unfortunately obvious touristy things. There will, I imagine, be photos. Update: Natalia Tena has unfortunately pulled out of the panel, but Daniel Portman (Podrick Payne) will kindly be taking her place. Things have been pretty quiet on the blogging front, due to life getting 'hectic' for a few months there. Things are levelling out and whilst I don't see myself returning quite to the glory days of 30+ posts a month very often, hopefully there will be an increase in more meaningful content on the blog (i.e. reviews and more substantial articles) soon. Books: Books have massively fallen by the wayside in recent months, but I'm getting back on top of reading again. Expect a review of Steles of the Sky (which I started halfway across the Atlantic in April and finished last week on the sofa at home) soon. I'm already a quarter of the way through Joe Abercrombie's Half the World so that should follow relatively soon after. I also want to resume my progress through the Vorkosigan and Wild Cards series, but there'll also be reviews of books by Ian Esslemont, Peter F. Hamilton and Kameron Hurley in the offing as well. Games: Many weeks of playing Divinity: Original Sin have left me absolutely nowhere near finishing it, and now the equally humongous Wasteland 2 is taking up a lot of my free time. Game reviews will resume once I actually manage to finish something. TV: Thanks to multiple viewing projects going on at the same time, this is one area I've been making more notable progress. Expect reviews of Community (Season 5), True Detective (Season 1), Veep (Season 2), The Legend of Korra (Season 2) and The Walking Dead (Season 4) soon. When Star Trek: The Next Generation's sixth season began production, it was a busy time for the franchise. A new spin-off series, Deep Space Nine, was about to launch and air alongside TNG. Plans were being made for a new film, one that would transfer the TNG crew to the big screen. It was also the first time that a season of Star Trek would be made without any input at all from Gene Roddenberry, who had passed away early in the production of the fifth season. Despite a lot of outside issues, TNG's penultimate season is a bit of a triumph, certainly better than the inconsistent fifth season. Things do get off to a weak start with Time's Arrow, Part II which feels like someone had an idea about doing a time travel romp in the 19th Century but never found a story to make it work. Realm of Fear - a Barclay episode about transporter phobia - never really takes off either and Man of the People is the worst episode of the series since Season 1. However, Relics, which sees the return of James Doohan as Scotty, is a fine episode and sees an upsurge in quality that lasts through most of the rest of the season. There are a few more weaker episodes - Aquiel, Quality of Life, Rascals, Birthright - but these overcome some iffy premises and scripting with good ideas and solid performances. More interesting are the classics. Chain of Command is a superb, tense masterclass in which Patrick Stewart is tortured by David Warner for a full hour whilst the Enterprise gets a new captain who is a bit of a martinet, but who is also an effective military commander who just happens to do things differently. It's one of the few Star Trek two-parters where the two parts work well together. Tapestry, although slightly overrated, is also a tremendously good episode where Picard revisits his past and finds out how he became the man he is now. Better still are the underrated episodes that didn't stand out so much originally but now emerge as being more interesting: True Q is the lesser Q episode of the season is still a vastly superior rewrite of Season 1's Hide and Q; Ship in a Bottle and Frame of Mind foreshadow Inception with their multiple levels of reality; Lessons is a rarely effective Picard romance episode (let down by a hugely problematic ending); Starship Mine is an effective TNG cover version of Under Siege, with Picard as Steven Segal; and Timescape is a moody, atmospheric time travel mystery with some excellent direction. The season is let down by its trite cliffhanger in Descent, a good example of the writers finding a great image for the cliffhanger and working backwards from there to find the story and not succeeding. But for a show 150 episodes and six years into its run, it's still finding fresh takes on established tropes and the cast is working together superbly as a unit. For this HD re-release, the show has been completely re-edited from the original film stock. A vast amount of time and money went into this, and this pays off with some spectacular effects (more impressive as most of them are the original elements, simply re-combined at a higher resolution) and an image quality that makes it look like the show was filmed yesterday. There's a few moments which haven't translated as well - the duplicate Rikers in Second Chances oddly look unconvincing, given the simplicity of the effect - but the improvement in visual quality is stunning. The sixth season of Star Trek: The Next Generation (****½) still finds the show at the top of its game and still generating entertaining stories delivered by a cast of seasoned performers. The season is available now on Blu-Ray in the UK and USA. Dark Hunters: Umbra Sumus is the title of Paul Kearney's next novel. Set in the Warhammer 40,000 universe, the novel expands on elements in Kearney's previous short story in the setting, The Last Detail. 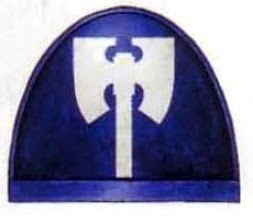 The sigil of the Dark Hunters, for in the grim darkness of the far future, where a technologically-advanced humanity fights on a thousand fronts against aliens, heretics, mutants and demons, everyone still thinks axes are cool. The novel focuses on the battle between the Dark Hunters, a chapter of genetically-engineered Space Marines, and their deadly rivals, the Punishers. Unusually for a debut novelist in the setting, the Black Library will be publishing the novel in hardcover, presumably out of recognition for the quality of Kearney's former work. The title of the novel suggests that sequels are hoped for. The novel will be published on 7 May 2015.
inXile have released the first gameplay video for Torment: Tides of Numenera. This is their spiritual sequel to the 1999 CPRG Planescape: Torment, widely regarded as one of the greatest CRPGs ever made. Tides of Numenera takes place on Earth a billion years in the future, after multiple civilisations have risen and fallen and magic and science have become entwined. Several of the creators of Planescape: Torment are working on the game and inXile are gearing up for full production as soon as they release their Kickstarted post-apocalyptic RPG Wasteland 2. Which is tomorrow, which is quite handy. inXile have received the assistance of Obsidian Entertainment in making the game, who loaned both tech and some writers (including Planescape: Torment's head writer, Chris Avellone) to the project. Obsidian are preparing their own old-school CRPG Pillars of Eternity for release in the next few weeks. It may also be of interest to literature fantasy fans that Patrick Rothfuss is contributing some writing and a character to the game as well. This video footage is pre-alpha, so a lot can change before Tides of Numenera's final release, which is anticipated in late 2015. 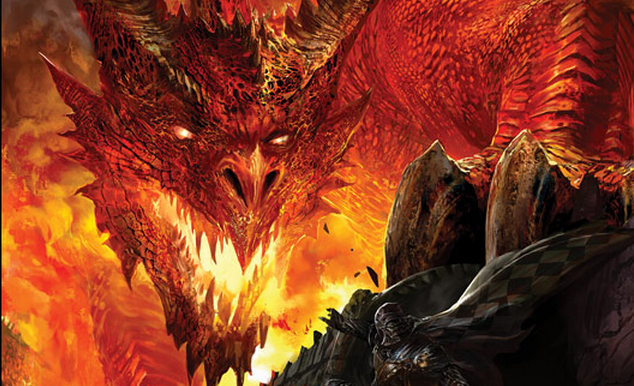 Last year, I reported on the ongoing legal battle over the Dungeons and Dragons movie rights. That battle is now escalating with a series of new court dates set. To recap, back in the mid-1990s an amateur film-maker named Courtney Solomon bought the D&D movie rights from TSR, the owners of the game. In 1997 TSR was taken over by Wizards of the Coast and in 1999 WotC was bought by Hasbro. Neither company were happy with the deal that TSR had struck, but had no choice to honour it. Solomon's D&D movie was released in 2000 and was a massive flop. However, Solomon retained the film rights by producing a straight-to-DVD sequel, Wrath of the Dragon God, in 2005, followed by a third film, Book of Vile Darkness, in 2010 (although it was not released until 2012). According to Hasbro, since the sequels were straight-to-DVD films rather than theatrical releases, the deal signed between TSR and Solomon's company, Sweetpea Entertainment, is now null and void. Last year they joined forces with Universal to develop a new D&D movie (the rumour mill is that this may be based on an existing D&D sub-franchise, like Dragonlance or Forgotten Realms, though this seems to be mostly speculation). However, Sweetpea Entertainment and Warner Brothers were also developing a big-budget film with the working title Chainmail. Both sides sued and counter-sued with a bewildering array of claims and counter-claims. There will now be new legal hearings over the next few weeks. Warner Brothers have escalated proceedings by agreeing to pay Sweetpea's legal fees and offering $5 million for the film rights (which Solomon had bought for $15,000 in 1991), ensuring this could be a serious fight. The courts have made matters even more serious by suggesting that WB developing a script before having bought the rights could constitute copyright infringement, which could mean a startling shift of how Hollywood does business in the future. 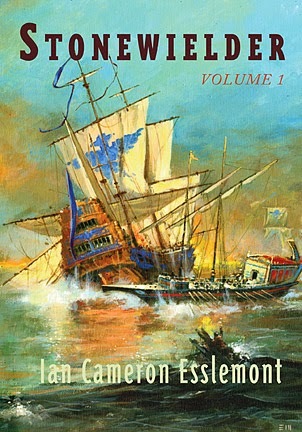 I was saddened yesterday to hear of the passing on Tuesday of SF and fantasy novelist Graham Joyce from lymphoma. He was only 59 years old. Joyce published his first novel in 1991 and went on to write a further twenty-one books. These included a semi-memoir (Simple Goalkeeping Made Spectacular) and several highly critically acclaimed novels, including The Tooth Fairy, The Facts of Life, The Limits of Enchantment, Memoirs of a Master Forger, The Silent Land and Some Kind of Fairytale. He won the British Fantasy Award five times and the World Fantasy Award once. He taught writing at Nottingham Trent University and last year spearheaded a campaign to petition for the removal of Michael Gove (the former British Secretary of State for Education, horrendously incompetent at his job and recently removed from his position), attracting more than 100,000 supporters. 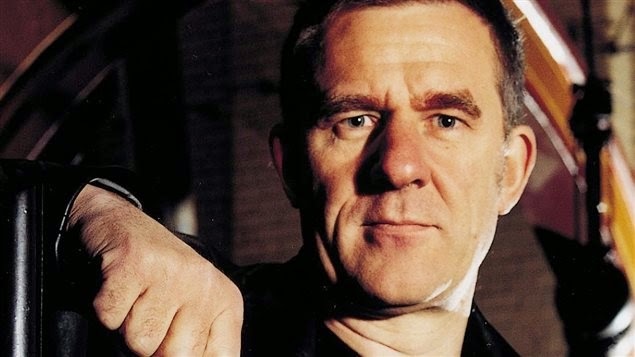 I never met Graham Joyce (although I believe we were in the same room on a number of occasions) but I have enjoyed the novels of his that I have read. I will now have to seek out more. His colleague and friend Conrad Williams also has a tribute to him here, whilst the above link to The Guardian collects together many more tributes and quotes. Condolences his to his friends and family. The world of fantasy fiction is now a slightly dimmer place. In a Q&A on Reddit, Steven Erikson has confirmed that his collaborator Ian Esslemont has signed a new deal for a trilogy of Malazan novels taking place before the main series. The first book in this trilogy is called Dancer's Lament and is set before the founding of the Malazan Empire. From the title, I assume that the book will feature Dancer, the skilled assassin who, alongside the mage Kellanved, would found the Empire. No publication date has been set for the book yet. 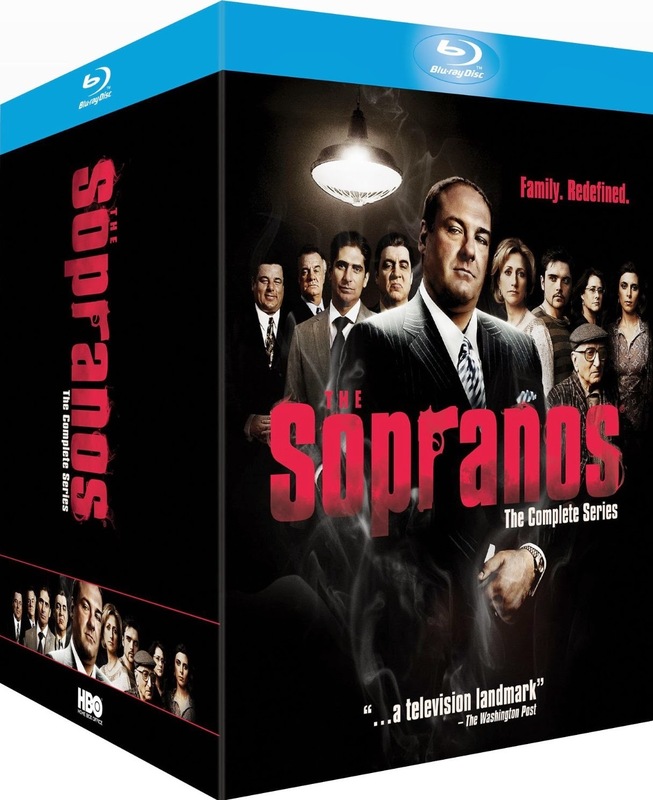 HBO has confirmed that it has remastered The Sopranos in high-definition for release on Blu-Ray next week. Whilst the first and sixth seasons had previously been available by themselves, HBO will be releasing the whole series on 8 September. Slightly more confusing is the situation with The Wire. The video below has been reportedly running on HBO for the past several weeks, suggesting that a HD repeat run of the series will begin this Thursday on HBO Signature. TV Guide and a few other listings magazines have backed this up, but the HBO schedule itself only has films and a re-run of Boardwalk Empire in that slot for the next few weeks. The situation is also confused by the long-running debate over whether The Wire should be shown in widescreen. The series was certainly filmed in widescreen but it was an editorial decision that it should be shown in the old 4:3 standard TV aspect ratio, as it made the series look more like a documentary. Creator and showrunner David Simon has also been against the series being remastered, feeling that making it look too glossy would run against the ethos of the show. However, HBO would likely be the ones making the final decision and would feel that HD versions of the two most critically-acclaimed shows in its library (Deadwood and Rome already have Blu-Ray releases, whilst newer shows like Game of Thrones are released on Blu-Ray as a matter of course) would be huge sellers. HBO have also released widescreen standard-definition versions of the first two seasons through Amazon's instant streaming service, which have been well-received. We'll probably find out what's up with The Wire soon, whilst the release of The Sopranos is definitely happening. Update: According to American TV critic Alan Sepinwall, The Wire has indeed been remastered in HD and HBO are planning a marathon broadcast. However, it has been delayed to an as-yet undetermined date. So it's happening, but not just yet.